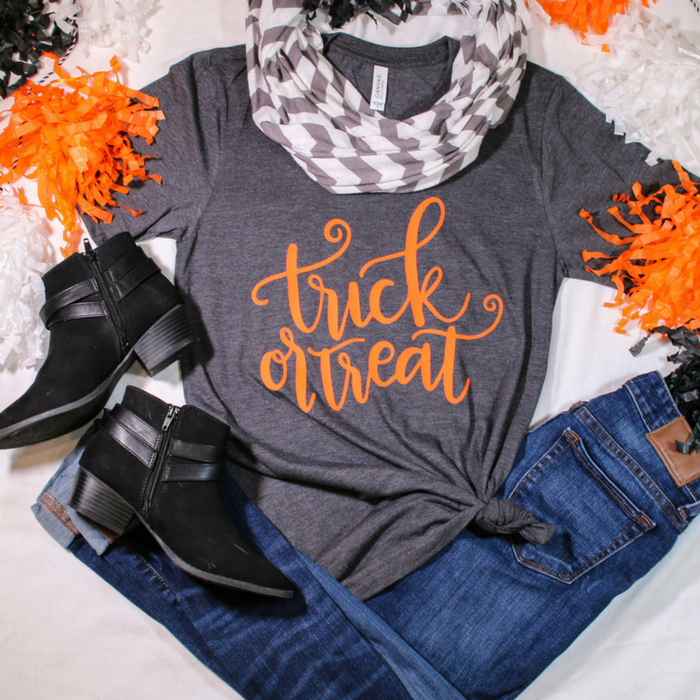 Halloween Tees Just $16.99! Down From $36! PLUS FREE Shipping! You are here: Home / Instagram / Halloween Tees Just $16.99! Down From $36! PLUS FREE Shipping! Jane is currently offering these Halloween Tees for just $16.99 down from $35.99 PLUS FREE shipping! Get ready for all the Halloween parties and scares with these 3 great Halloween shirt designs! Buy your true to size for a looser fit and pair with leggings, or order a size down for a slimmer fit to pair with jeans, a cute scarf or cardigan. Available in 5 colors and the designs can be customized in either orange or black! These shirts ship free! Awesome!